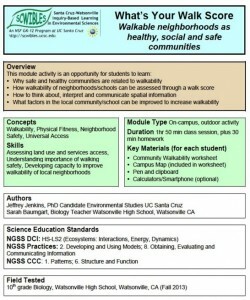 Will walking create the same cardiac response as running? 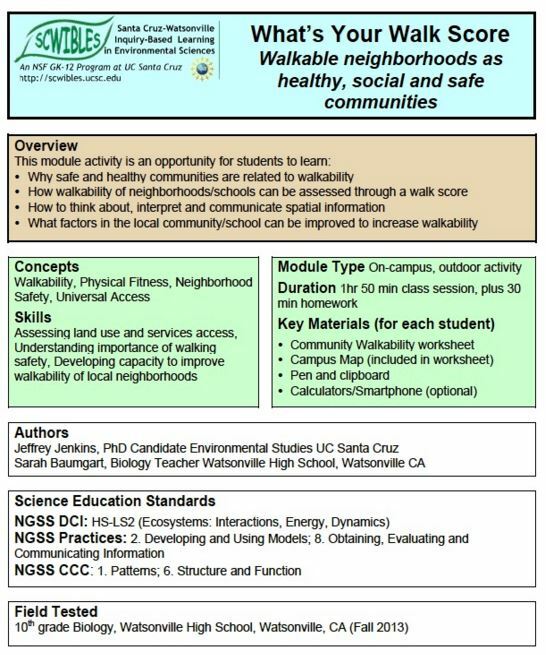 Physical activity is associated with numerous health benefits, even modest levels of physical activity (Janssen & Leblanc, 2010; Strong et al., 2005). 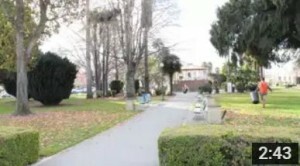 However, many students remain largely inactive. 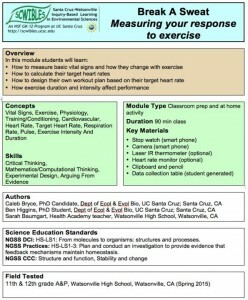 This module is designed to promote student-specific physical activity as a health promotion strategy by introducing the concepts of vital signs and target heart rate training. 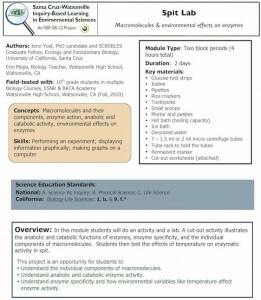 Ideally, students will discover an enjoyable type of exercise and/or learn how to self-assess their cardiovascular responses (i.e. 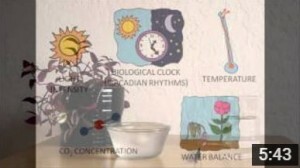 vital signs) to exercise to most effectively train. 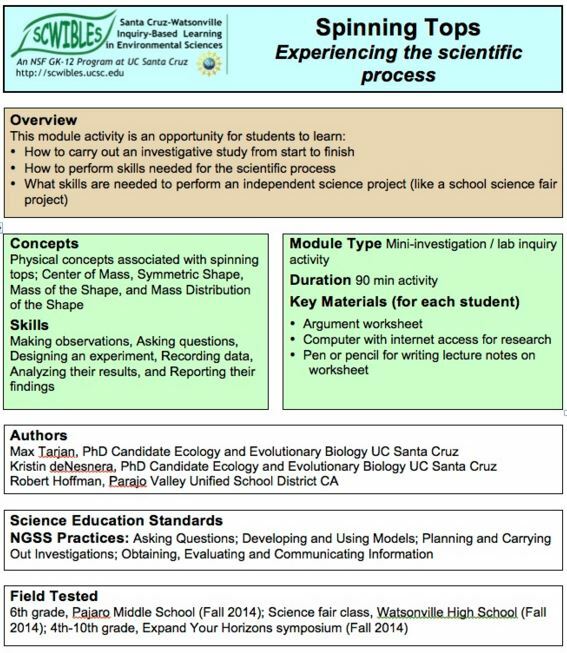 Students learn: 1) How to measure basic vital signs, 2) How to calculate their own target heart rate, 3) To design their own workout plans, and 3) How exercise duration and intesnsity affect performance. 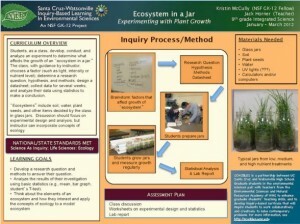 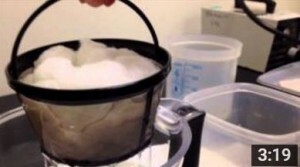 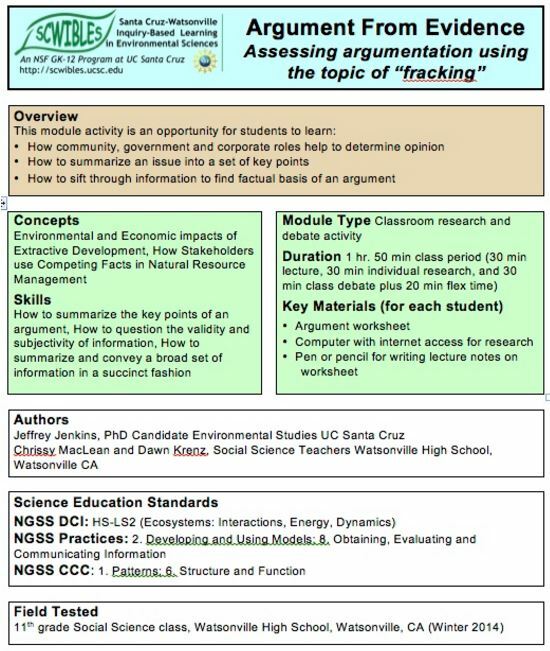 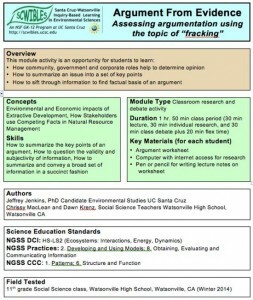 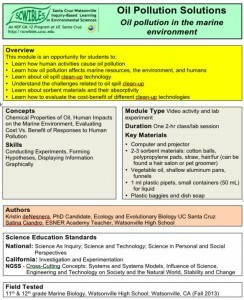 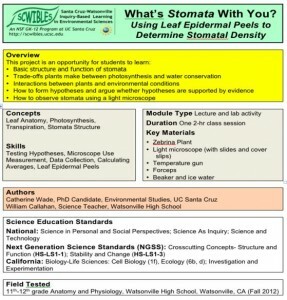 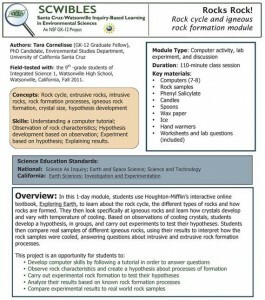 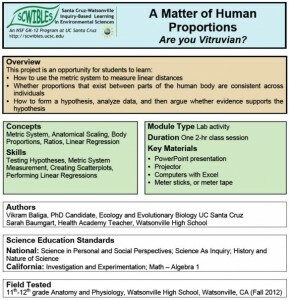 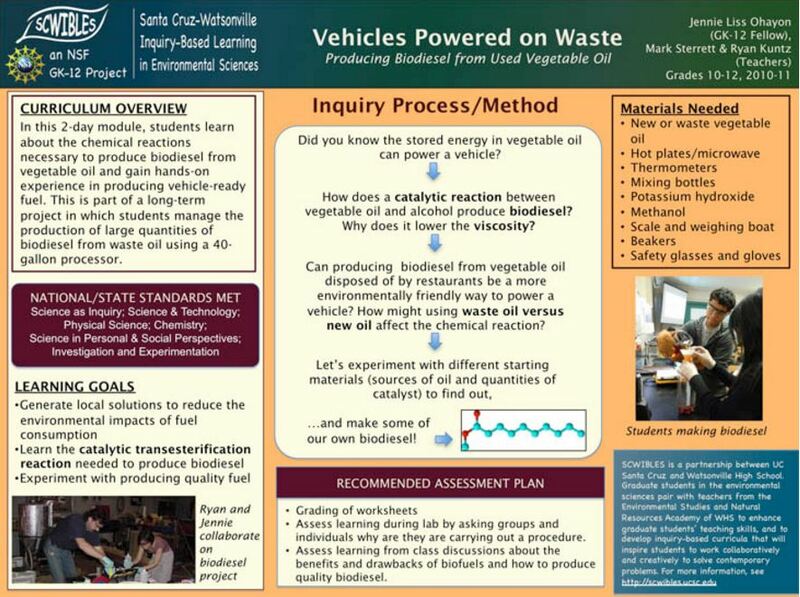 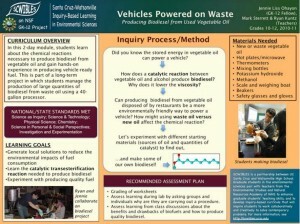 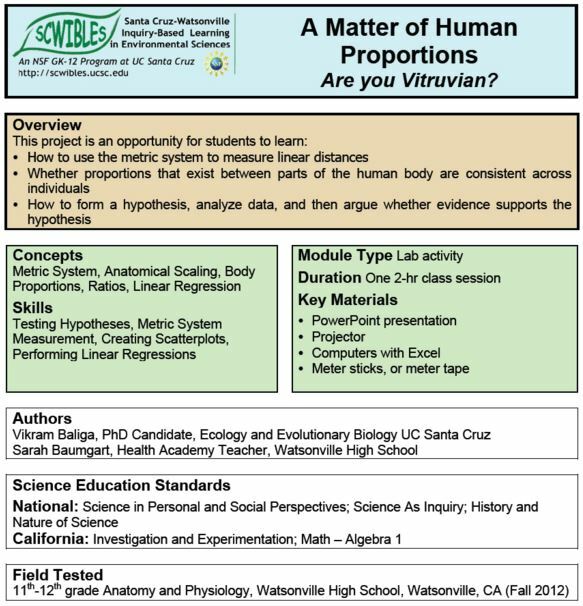 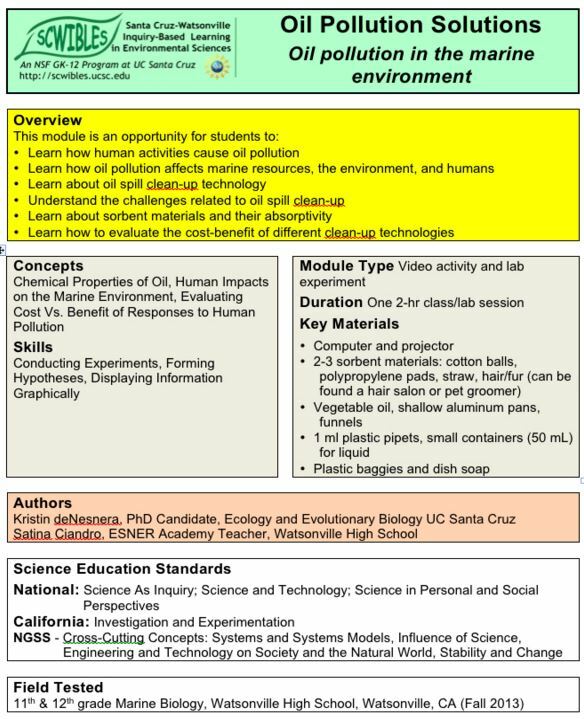 In this module students will do an activity and a lab. 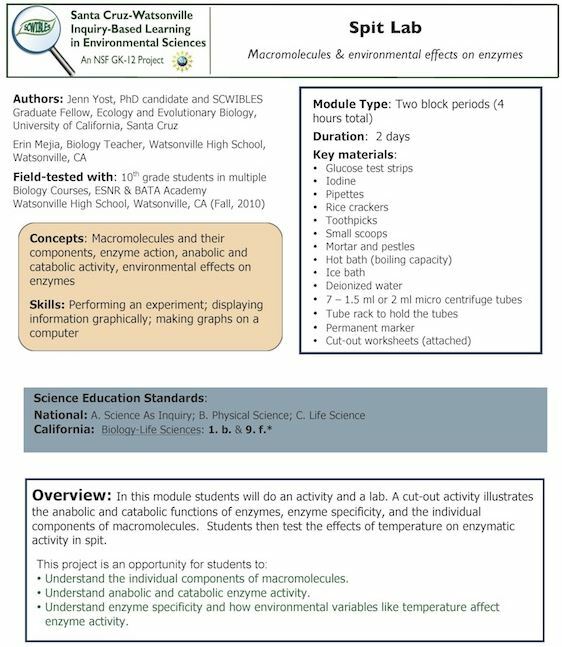 A cut-out activity illustrates the anabolic and catabolic functions of enzymes, enzyme specificity, and the individual components of macromolecules. 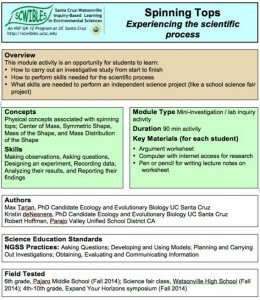 Students then test the effects of temperature on enzymatic activity in spit. 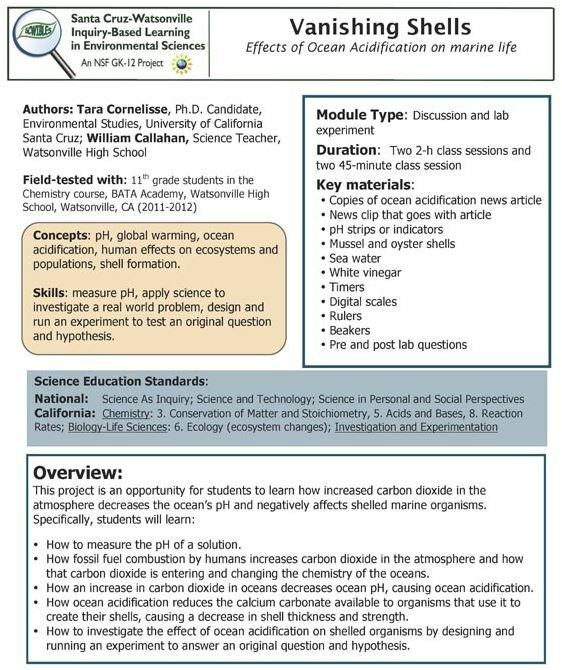 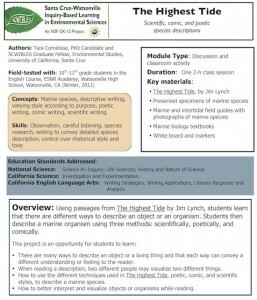 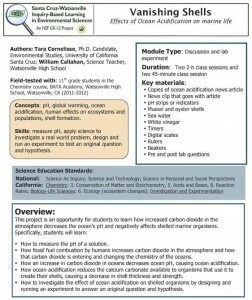 This project is an opportunity for students to learn how increased carbon dioxide in the atmosphere decreases the ocean’s pH and negatively affects shelled marine organisms. 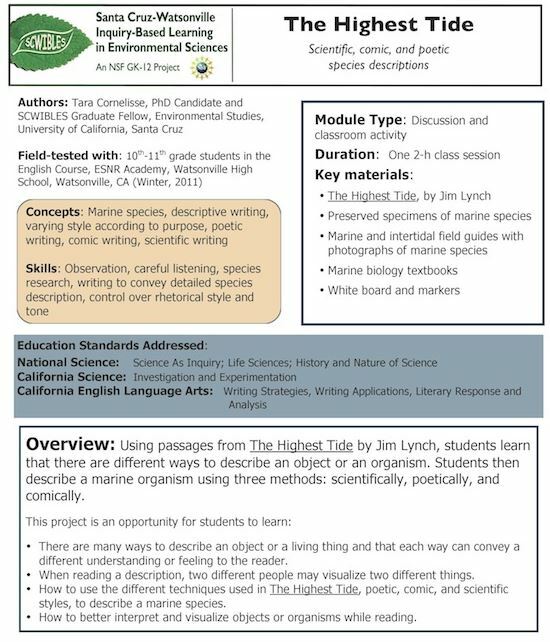 Students start with short informational videos and news readings, and then a real-life problem (an oyster business) as the context for designing questions, hypotheses, and investigating this phenomenon through hands-on experiments.